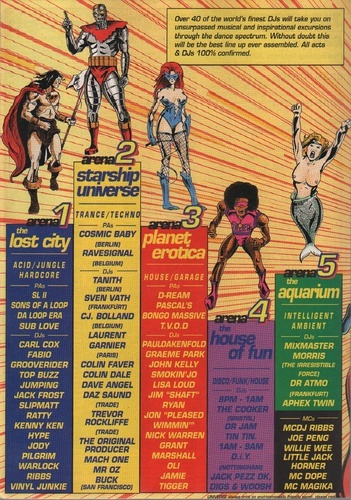 (London): Universe, 1993. 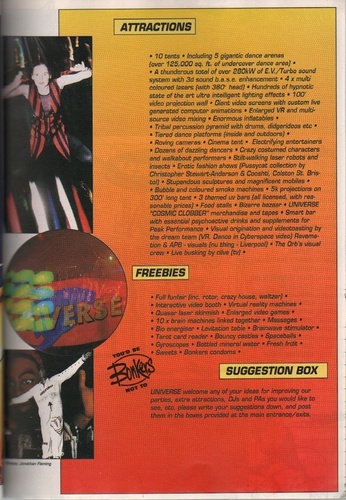 Programme for one of the UK’s greatest rave parties. Universe promoters Paul Shurey, and Rob Vega had been organising events since the heady days of 1989 They wanted to organise an event to bring together the different sub-cultures of the dance world and also to have a festival feel to it. 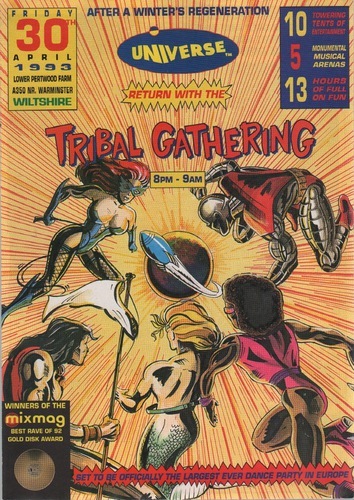 The event was ‘Tribal Gathering’ which took place Friday 30 April 1993 at Lower Pertwood Farm, Warminster, Wiltshire, England. 25,000 people attended to see acts such as diverse as Laurent Garnier, Carl Cox, Slipmatt, The DiY Sound System and Pete Tong. 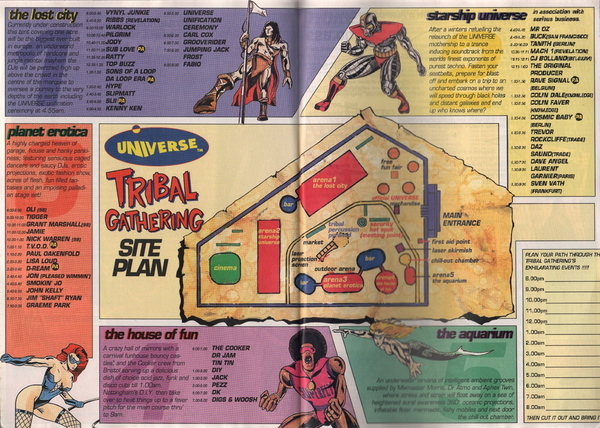 By 1998, the Tribal Gathering name had grown into a brand. There were albums, a TV Show and plans to establish events worldwide in the pipeline. However their things did not go to schedule and the 1998 event did not take place due to Universe and Mean Fiddler’s legal battle of the Tribal Gathering name. This 8-page programme is in near fine condition.